Social Networking Sites (SNS) are gaining momentum as powerful tools of marketing communications. Mobile phones are becoming one of the most popular devices for accessing Social Networking Sites. In Spain, 44% of Social Networking Sites users access these sites on a daily basis while 79% of them access these sites on a weekly basis. Furthermore, it is notable that over 70% of Social Networking Sites users talk about and recommend commercial brands. This justifies the interest of the study of Social Networking Sites users from a marketing perspective. The aim of this research is to assess the influence of consumers` personal factors (attitude, innovativeness, and gender) and individual-media relationships (media affinity and individual-media dependency) on mobile SNSs usage behaviour. Managerial implications improving marketers´ advertising effectiveness are also provided. Mobile phones have become the most ubiquitous of all technologies, with an estimated 6.8 billion mobile-cellular subscriptions and a worldwide penetration rate of 96% in 2013 (International Telecommunication Union, 2013). Mobile phones have also become essential to many youth lifestyles and it has been noted that the improving capabilities of mobile phones as personal and portable multi-media devices have led mobile phones to becoming indispensable to young consumers (Grant & O´Donohoe, 2007). Along with mobile phone use, online Social Networking Sites (SNSs) have been a globally dominant trend for the last couple of years as they have created new ways to communicate and share information. SNSs have become virtual spaces for exchanging information and generating relationships, encouraging social relations by permitting interaction between individuals with common interests who can share and exchange information, knowledge, experience, interests and/or needs (Shin, 2010; Wiertz & De Ruyter, 2007). SNSs are also gaining momentum as a powerful tool of marketing communications and mobile phones are becoming one of the most popular devices for accessing SNSs with two out of five mobile users in the USA –nearly 100 million users- accessing SNSs through their mobile phones during 2013 (eMarketer, 2013). In Spain, SNSs attracts 84% of Spanish Internet users and are present in the daily lives of many Internet users, with 67% of them claiming in 2012 to visit such sites daily (AIMC, 2012). SNSs are becoming increasingly popular among young users. As stated in Sánchez and Álvaro (2011), more than 79% of adolescents in Spain have joined SNSs, and 40% of them visit the sites daily. According to Socialbakers (April, 2012), Facebook’s student audience skews towards younger Internet users: 58% are 34 or younger, while only 6% are 55 or older. Smartphones are playing an increasing role as platforms to access these social media in Spain. So 23.1% of Internet users accessed social media through mobile phones in 2010, representing a 272% increase of such activity in the period 2009-2010 and a 320% increase if we focus on younger audiences. Mobile SNSs users play an active role accessing their online profiles on a daily (44%) or a weekly basis (79%) (Zenithmedia, 2011). These users represent a new consumer who is not just exposed to advertising but also listening to, talking with, recommending and influencing other consumers about brands, products and services. 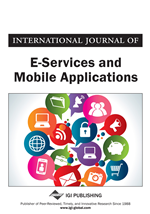 Mobile SNSs, as advanced Web 2.0 applications, have become a major interest for the information systems research community (Shin, 2010). The literature review highlights the fact that consumer personal characteristics are key factors in the analysis of technology adoption behaviour (Bigné et al., 2010). Prior studies emphasise that attitude to use is a key factor in analysis of technology adoption behaviour (Davis, 1989; Davis et al., 1989; Kuo & Yeng, 2009; Lu et al., 2009). Moreover, mobile services adoption depends on the profile of the potential consumers, since not all consumers accept an innovation at the same time. Mobile SNSs have also become a very powerful advertising channel because they exercise control over information and entertainment resources on which individuals depend to achieve their objectives and cover their needs. One of the most influential theories which has permitted in-depth study of individual media relations is the Mass Media Dependency Theory (Ball-Rokeach, 1985, 1989; Defleur & Ball-Rokeach, 1989), which has been used as the conceptual framework for our study. The micro-level of this theory known as Individual Media Dependency (IMD) provides a concrete basis for measuring an individual’s dependency relations with regard to a specific medium or genre (Grant et al., 1991).